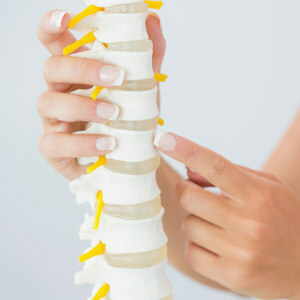 Spinal joints that are not moving correctly can choke or irritate nearby nerves. Chiropractic adjustments add motion to these stuck joints, reducing nervous system disruption and providing the best opportunity for the return of health. Each of our Battle Creek chiropractors at Myers Chiropractic has their own approach to care, with their own set of adjustment techniques. This is an advantage to our patients, as it expands the options available to them. Some techniques use a specific, highly-accurate thrust. In others, an instrument delivers carefully directed energy. In others, a slow, constant pressure is used. Adjustments are tailored to your size, age, and specific health issue. Regardless of the technique used, our patients often report a pleasant sense of release, well-being, and ease immediately after an adjustment. These positive feelings lead to the return visits needed to retrain their spine and reach optimal health. Gonstead. This full-spine technique relies on X-rays and a heat-sensing instrument to be as precise as possible, addressing only the problem areas. Diversified Technique. After identifying which vertebrae have lost their normal motion or position, a specific manual thrust is applied to free up “stuck” spinal joints. Activator Method. This technique uses a small, hand-held adjusting instrument to deliver a consistent, low-force thrust to the spine to restore motion to the targeted area. Sacro-Occipital Technique (SOT). designed to make corrections to the cranium, pelvis, extremities, and organs; also used for spinal adjusting. Extremity Adjusting. Problems in the extremities – including the ankle, foot, toes, elbow, wrist, hand, fingers, hip, and shoulder – may lead to chronic spinal issues. Adjusting a specific extremity provides the opportunity for our patients to get the most out of their spinal adjustment and have the ability to hold their adjustment for a longer period of time. Kinesio Taping Method. Also known as Power Taping, this is a newer treatment designed to facilitate the body’s natural healing process and increase the effectiveness of the chiropractic adjustment. By microscopically lifting the skin, Power Taping relieves pain and reduces inflammation. We have found it to be helpful in pregnancy, to help with edema (swelling), decrease congestion, and even improve sports performance. Contact Reflex Analysis (CRA). CRA is a safe and natural method used to find the underlying deeper conditions that could be causing a subluxation (misalignment). It use the body’s reflexes to determine the root cause of a health problem. Guasha. A type of traditional Chinese medicine, Guasha uses oils and a round-edged tool to help the body heal from built-up areas of scar tissue. It also helps increase the flow of fluids in swollen areas to promote healing. We adjust anyone who could benefit, from pregnant women to newborns to senior citizens. If you’ve been to a chiropractor before and prefer to be adjusted in a particular way, let us know. We want you to relax, enjoy, and fully benefit from your chiropractic care. Laser Therapy is the use of specific wavelengths of light to create therapeutic effects. At Myers Chiropractic, we use Laser Therapy in conjunction with chiropractic adjustments to reduce pain, increase circulation, and improve healing. We find it to be particularly helpful in relieving the stiffness associated with arthritic joints. For those patients we think it could help, Myers Chiropractic offers soft tissue massage therapy as a complement to chiropractic adjustments. It can be a way to warm up the muscles in preparation for an adjustment and, for some patients, increase the effectiveness of the adjustment. For those whose healing it may help, nutritional counseling sessions with Dr. Rachelle are available as a complement to chiropractic adjustments. Myers Chiropractic offers an array of services to help you reach your health goals. Contact us today to schedule a no-obligation consultation!